Engage the full Adelaide Big Band (18-piece) to provide your big band with a real time illustrative-style workshop. 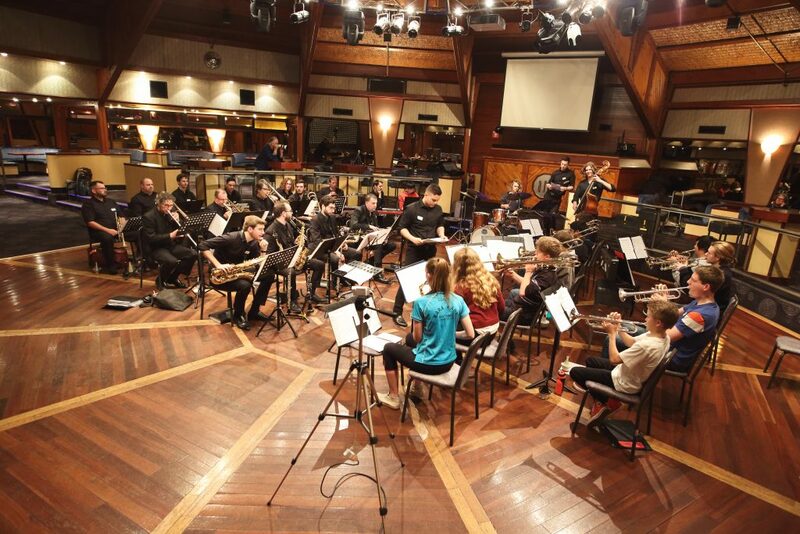 In essence, the concept is to hold a combined band rehearsal workshop, involving the Adelaide Big Band and a client big band whereby both bands are setup and configured in a position ‘facing off’ to one another through which real time professional live demonstrations, feedback and coaching on material that the client big band is working on is provided. 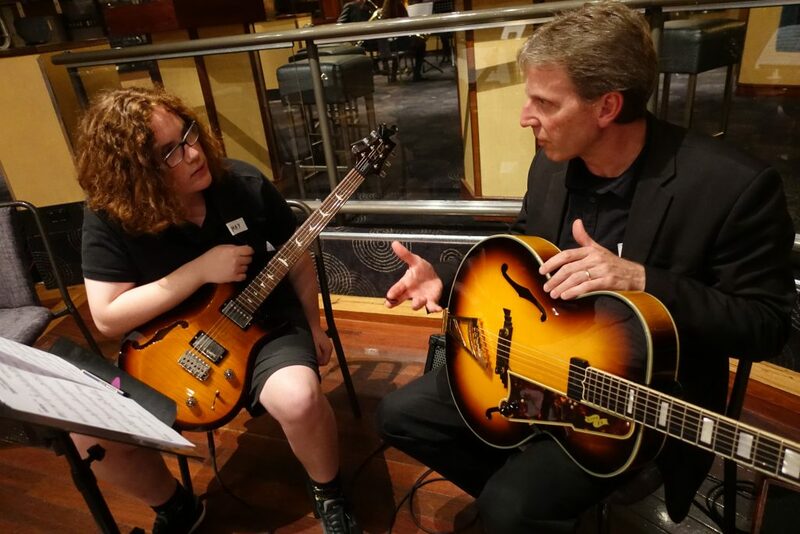 These workshops are particularly useful in assisting big bands with their competition preparation. 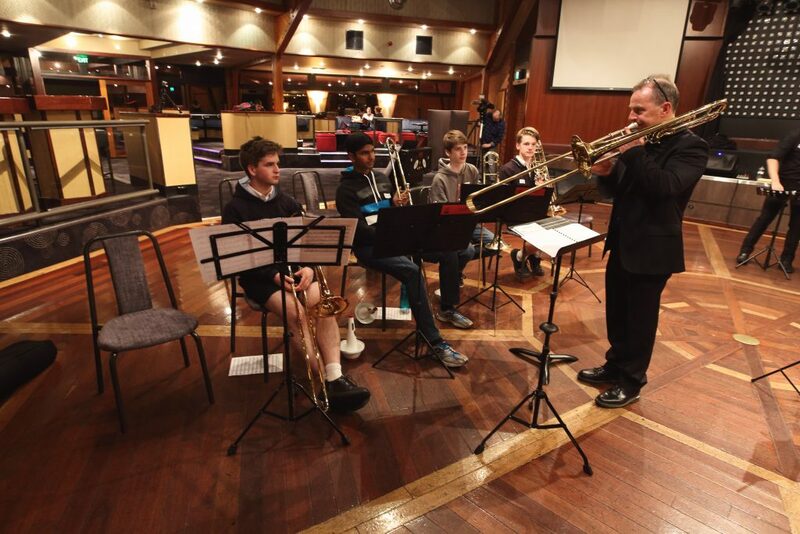 Multiple members of the Adelaide Big Band are active instrumental and classroom music teachers who hold active Department for Education and Child Development (DECD) teacher registration certificates. These workshops provide a direct, practical, effective, beneficial, fun and interactive experience that inspires the achievement of optimal results. Score Analysis and Chart Familiarisation (Pre Workshop) – analysis and rehearsal of client big band’s material (to be subject of workshop) by Adelaide Big Band. Workshop (Dual Bands) – workshop with Adelaide Big Band and the client big band. 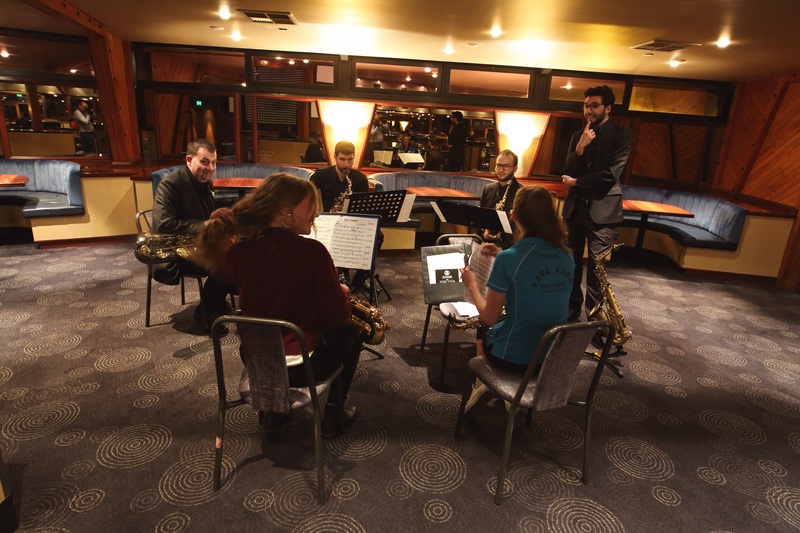 Sectionals (Saxes, Trumpets, Trombones & Rhythm Section) – provision of client big band sectionals run by Adelaide Big Band section leaders. Feedback Report (Post Workshop) – provision of critical feedback notes in relation to the client big band’s performance of the workshopped material (provided within 7 days of the workshop). Multimedia (Post Workshop) – provision of video and/or audio recordings and photographs (optional) of the workshop for client big band review and publicity purposes (provided within 14 days of the workshop). Mock Adjudication and Review Session (Post Workshop) – adjudication and review of a mock competition performance by client big band (to be held at an agreed date).